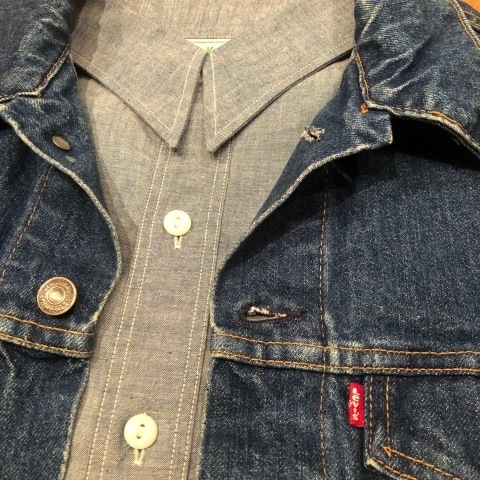 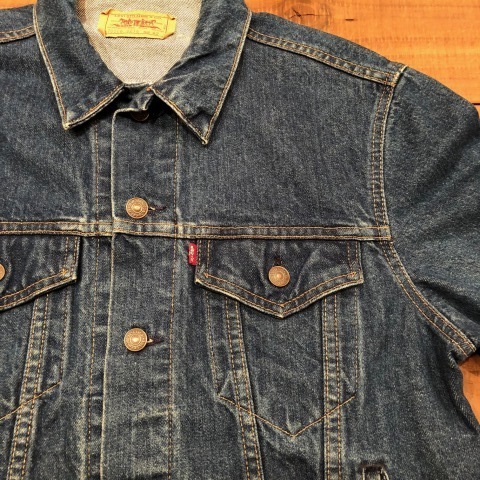 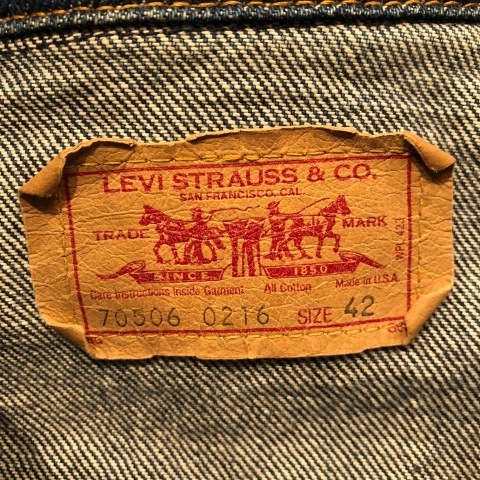 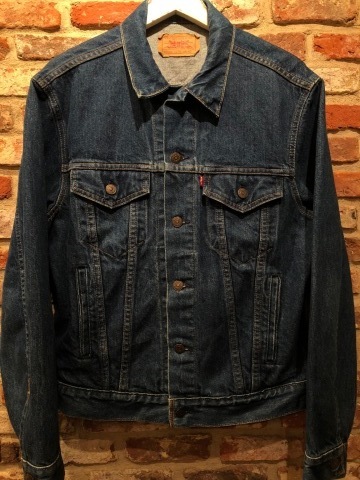 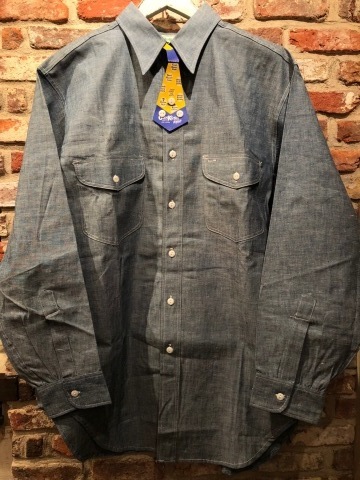 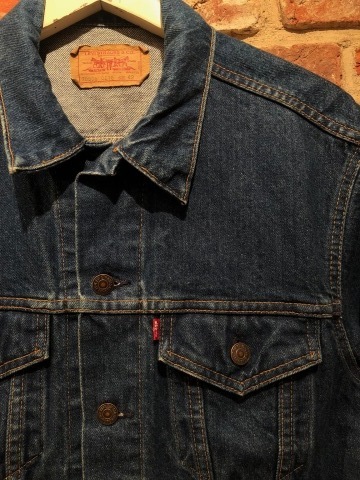 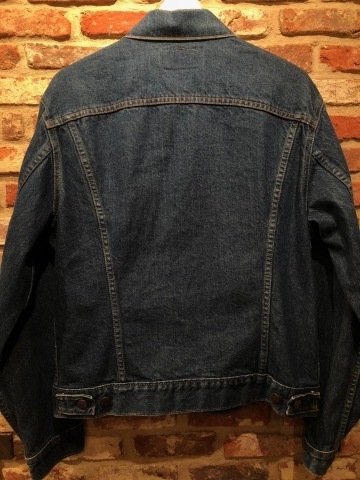 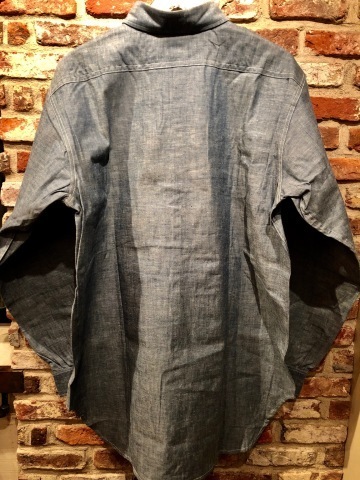 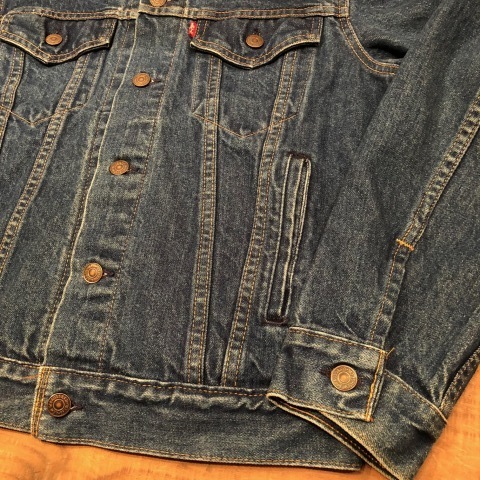 " リーバイス RED tab "
VINTAGE DENIM TRUCKER JKT 5th . 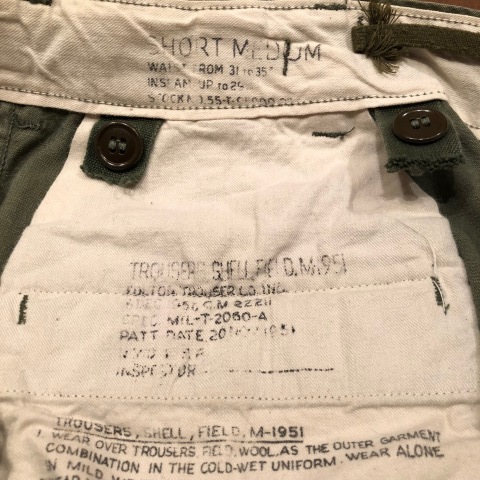 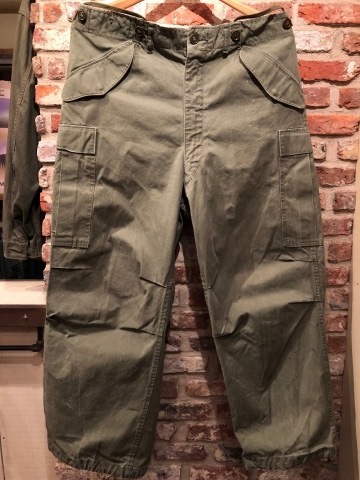 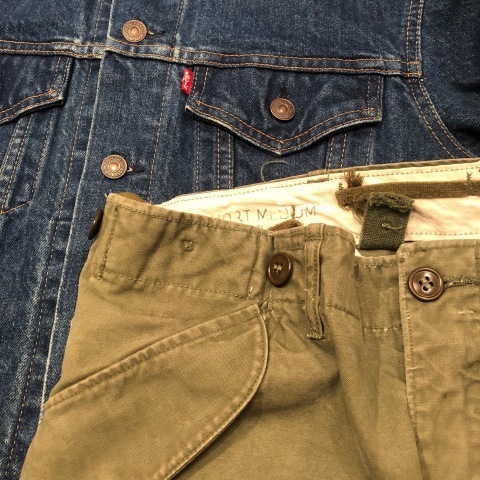 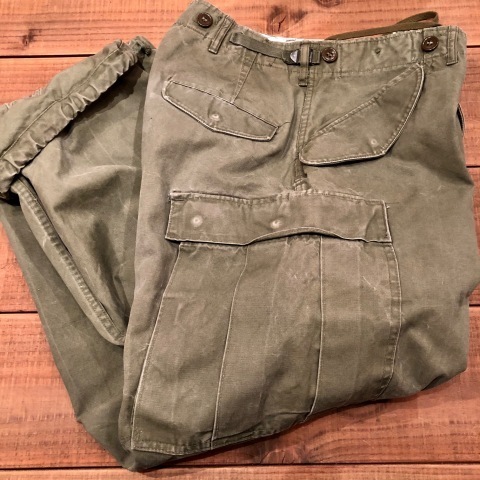 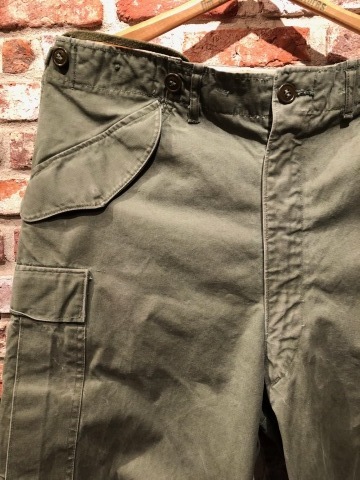 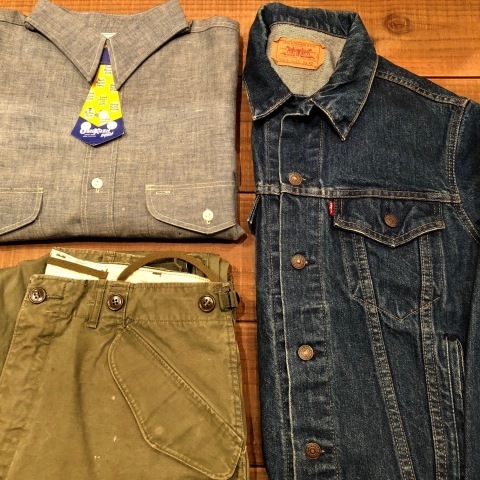 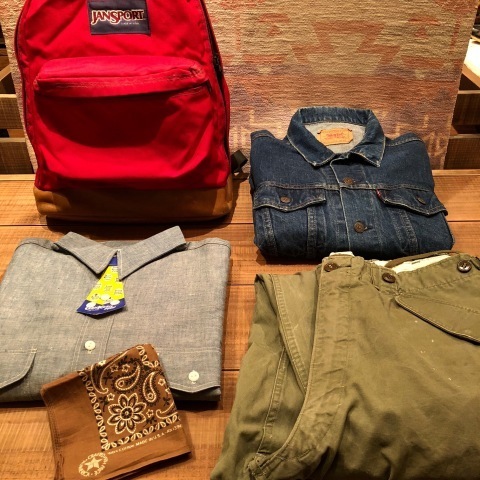 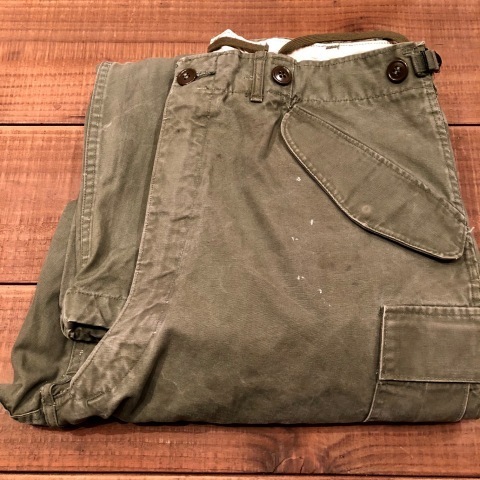 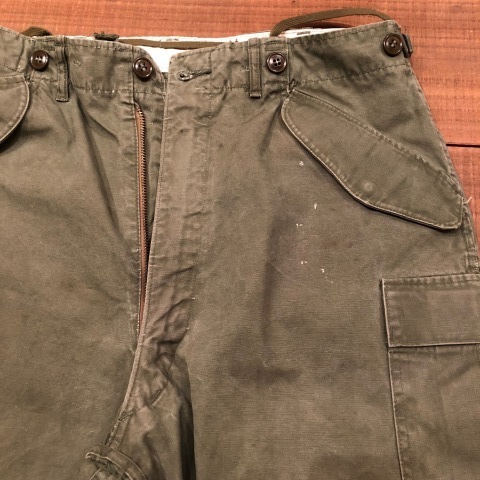 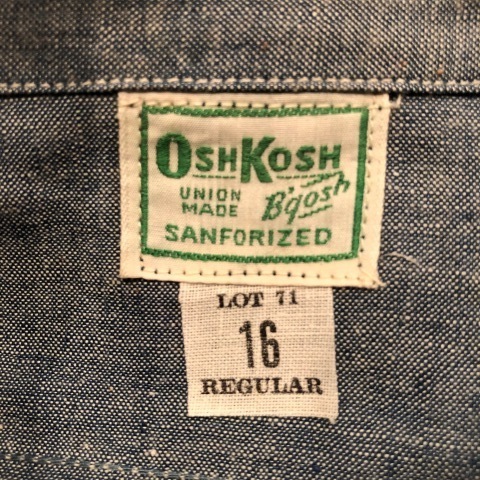 1950s " OSH KOSH B'GOSH "
サイズ 表記 " １６ "
BRAND : 1950s " OSH KOSH B'GOSH "
1950s " U.S ARMY "
BRAND : 1950s " U.S ARMY "
M-51 FIELD CARGO TROUSERS . 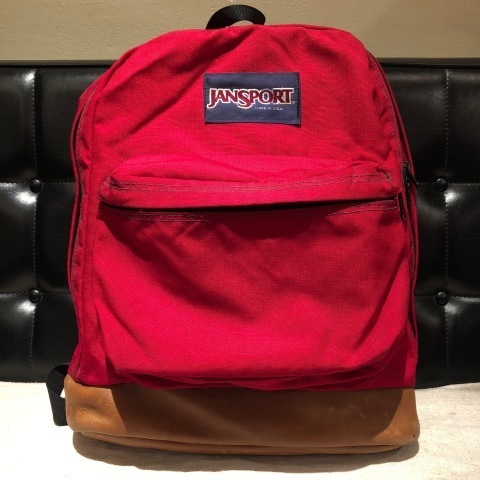 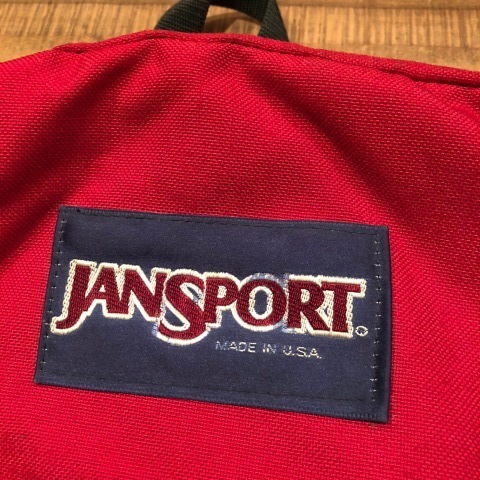 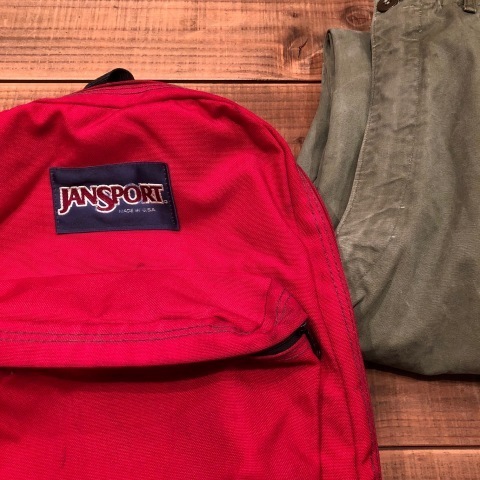 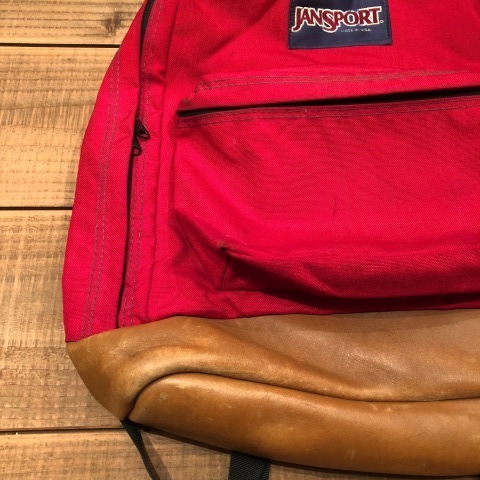 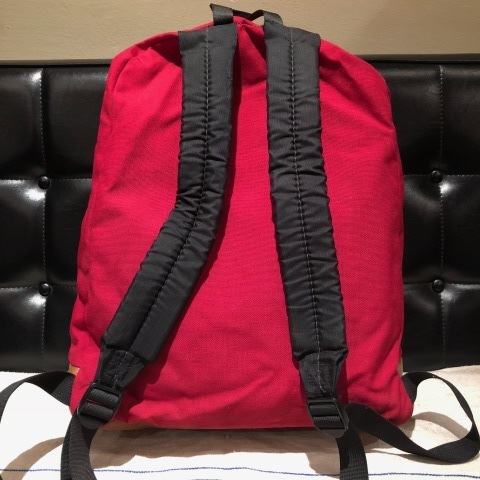 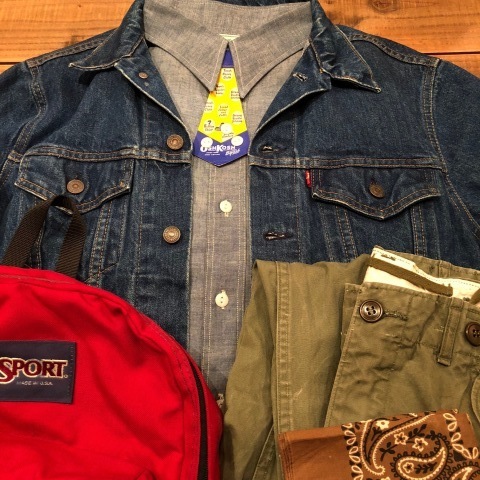 1970-80s " JAN SPORT "
" JAN SPORT - MADE IN U.S.A - "
BRAND : 1970-80s " JAN SPORT "
VINTAGE - DAY PACK - . 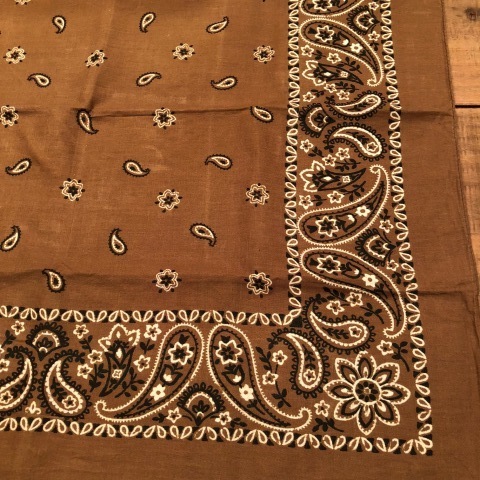 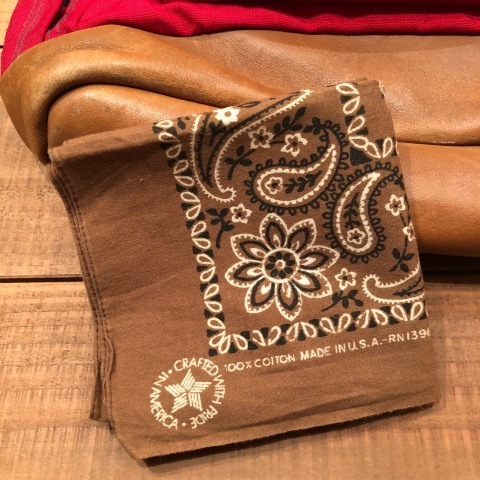 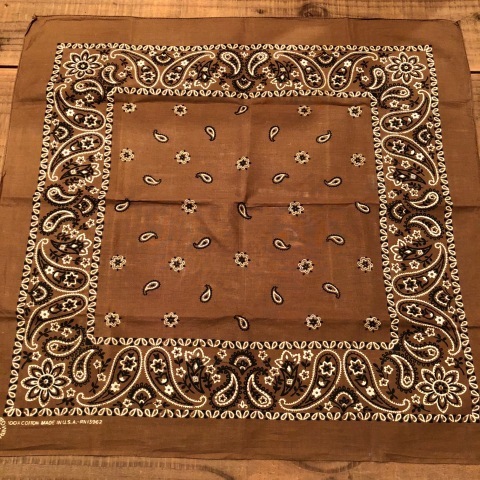 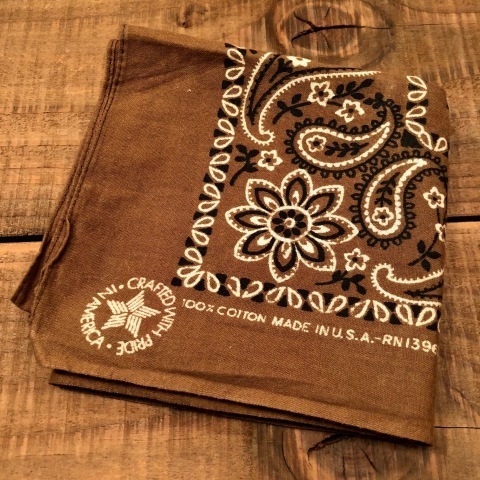 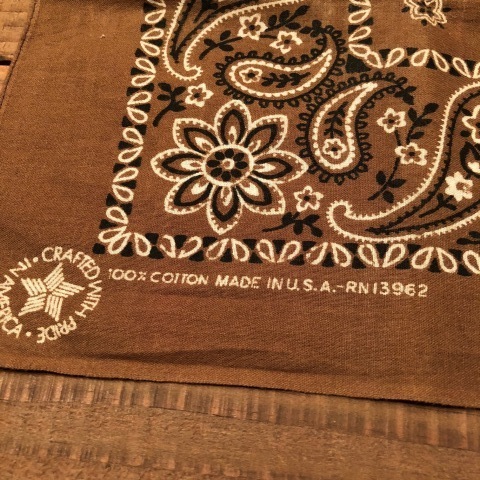 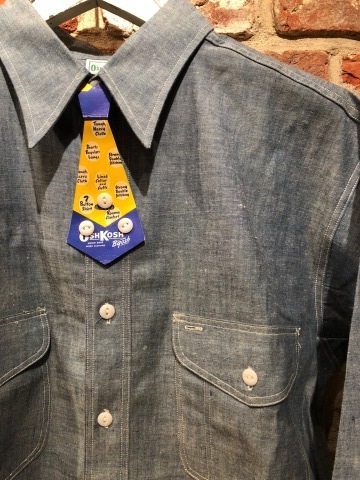 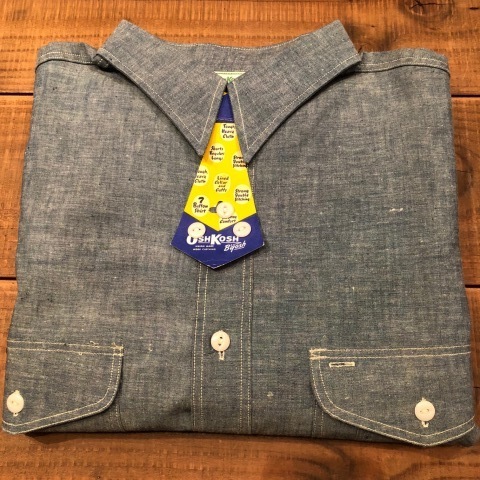 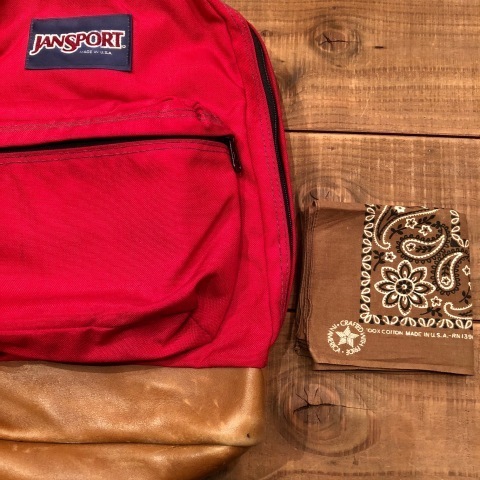 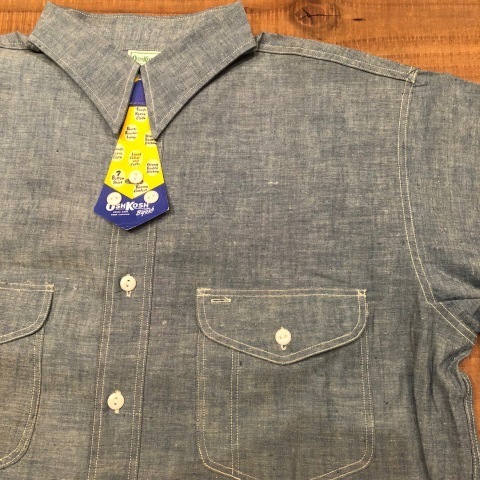 1980s " ELEPHANT BRAND "
BRAND : 1980s " ELEPHANT BRAND "
100% cotton - BANDANA - .
" 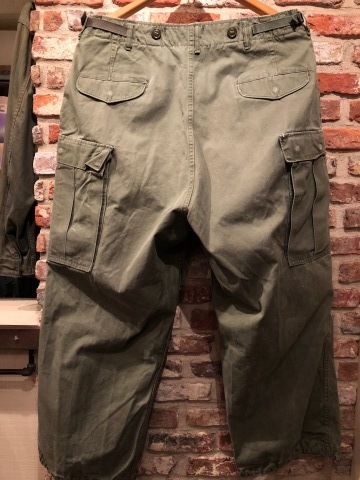 雨 のち くもり "